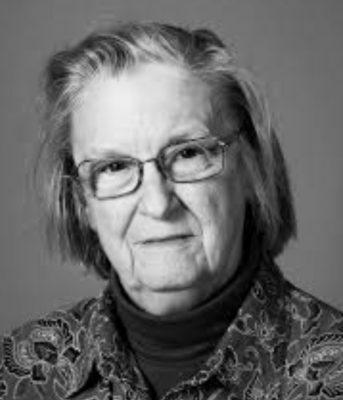 Elinor Ostrom’s Governing the Commons published in 1990 reports decades of research on community sharing. It is not a book, however, that can be recommended to everyone, perhaps not anyone who isn’t interested in a tenured position in a university. I do have it on my bookshelf and I did read it, so I speak from experience. I also had tenure at a University so I recognize the genre. As a presentation of data from dozens of research studies done in Switzerland, Kenya, Guatemala, Nepal, Turkey, and even Los Angeles, it is incredibly dry. Even with all those exotic locales. As in most academic writings, there are so many numbers and so few unequivocal conclusions that an ordinary person can justifiably be mystified that it proves anything. Governing the Commons solidified Ostrom’s reputation on campuses everywhere and led to her winning Nobel Prize in Economics in 2009. Fortunately for us, however, we don’t have to read it in order to govern our own commons. She continued to speak at conferences and write prolifically in Plain English in almost popular journals. Most helpfully, she formulated the eight rules for a successful sharing economy in a clearly numbered list that I am distributing for reflection and discussion in reference to a sociocratic democracy. Ostrom was addressing the economic theory, Tragedy of the Commons, that maintains private property is the only means of protecting finite resources from ruin or depletion. Contradicting the classic example of a village commons ruined by overgrazing, she conducted research on a Swiss village with private plots for crops but a communal meadow for grazing cows. Ostrom discovered were no problems with overgrazing. In 1517, the villagers agreed that no one was allowed to graze more cows than they could care for over the winter. Even if that agreement fell apart after she published in 1990, it had worked for 473 years. The eight design principles of successful commons that Ostrom identified are now regarded as central to any discussion of sharing common resources. Although it’s a bit of a stretch to number them as eight since three have two parts—that makes eleven. Since she has a Nobel Prize in Economics I don’t think we can complain. 1a. User Boundaries: Clear and locally understood boundaries between legitimate users and nonusers. 1b. Resource Boundaries: Clear boundaries that separate a specific common-pool resource (CPR) from a larger social-ecological system. For those well-versed in sociocratic principles and practices, the parallels will be obvious. Equally clear is that democratic organizations still have problems actually being democratic for the very same reasons. This post is already too long but I will discuss this in a future post. If I forget, remind me.